Dear Diary 4th October - At Wembley Stadium for the American Football game between New York Jets and the Miami Dolphins. The fixture was a home game for the Dolphins and therefore the players as a team are introduced to the crowd accompanied by cheerleaders, flag bearers, lights and pyrotechnics. The Home Team makes it’s entrance through a large structure that represents the team in some way which they ship over from the US. It was sunny yesterday in London and there was this really nice defused light coming through the netting over top of the tunnel and you could see the crowd in the stand in the distance, bathed in sunlight and shade. 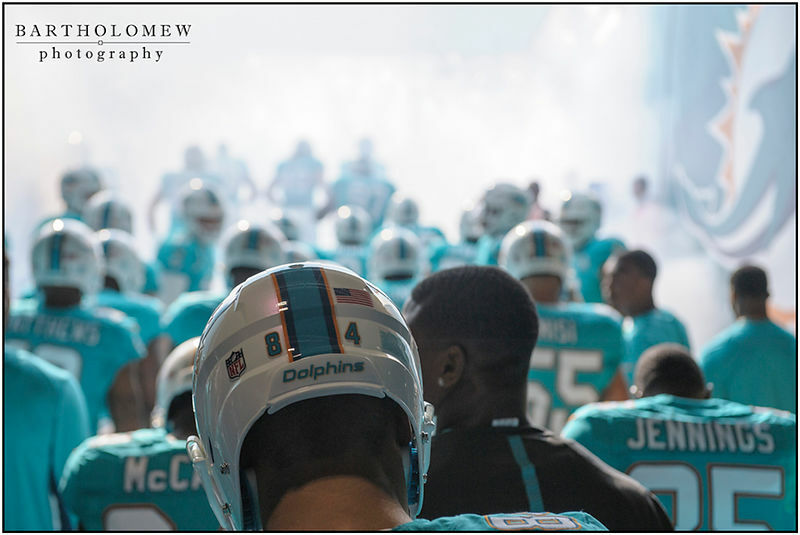 I decided to stay in the tunnel and shoot a players view of the introduction. All was going pretty well as the team started to get in position all around me. It’s then you realise just how big some of these guys are, even if you strip away the padding. Some were really fired up, shouting and fist pumping, others deep in thought - but they were all really fired up for the game ahead. You could tell the Jets were on the field due to the jeers from the partisan Dolphins crowd - the Away Team just run on from the tunnel at the other end of the stadium. The announcement introducing the Dolphins was accompanied by a cacophony of crowd noise, fireworks and water vapour. What I had not considered was the air circulation in the stadium that seemed to draw the vapour into the tunnel and within seconds you could hardly see anything, so much for that good idea. The mist started to clear and I got a couple of frames. I followed the last of the players out of the tunnel to get pitch side. 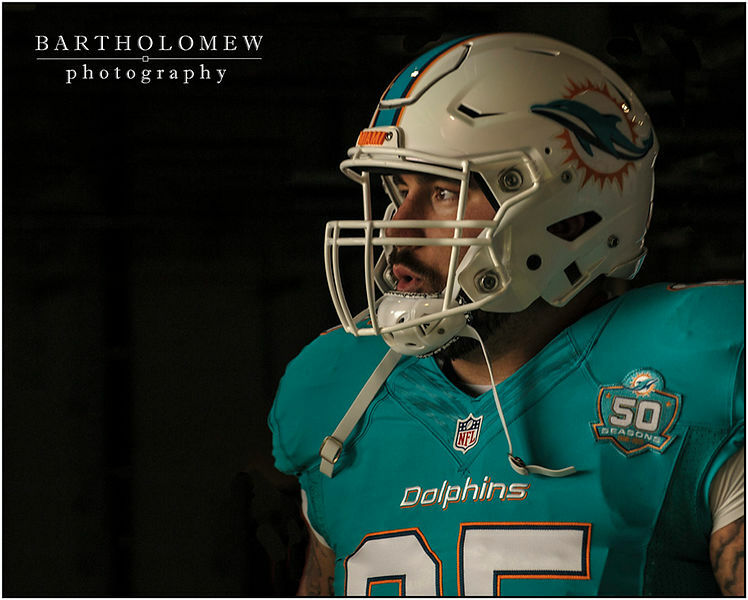 It was then I realised I had been with whole of the Miami Dolphins team running out for an NFL game at Wembley - HOW COOL IS THAT FOR A SUNDAY !! 04.10.2015. London, England. 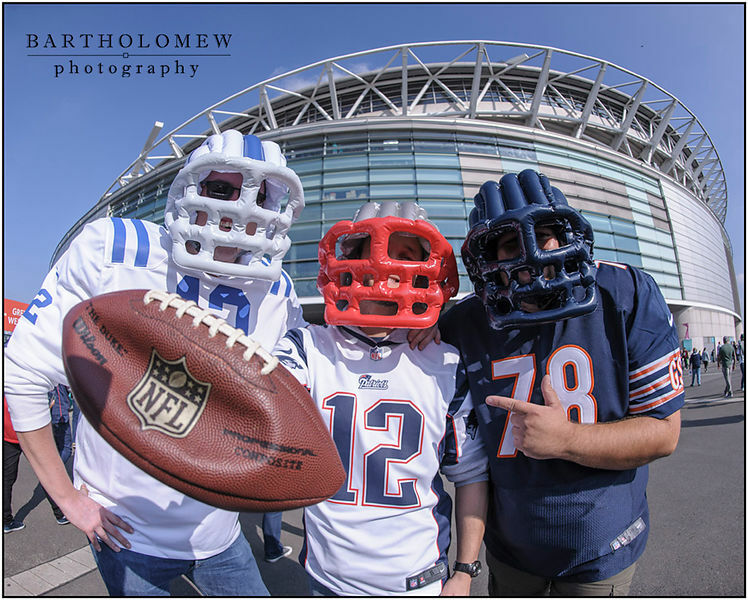 NFL International Series. 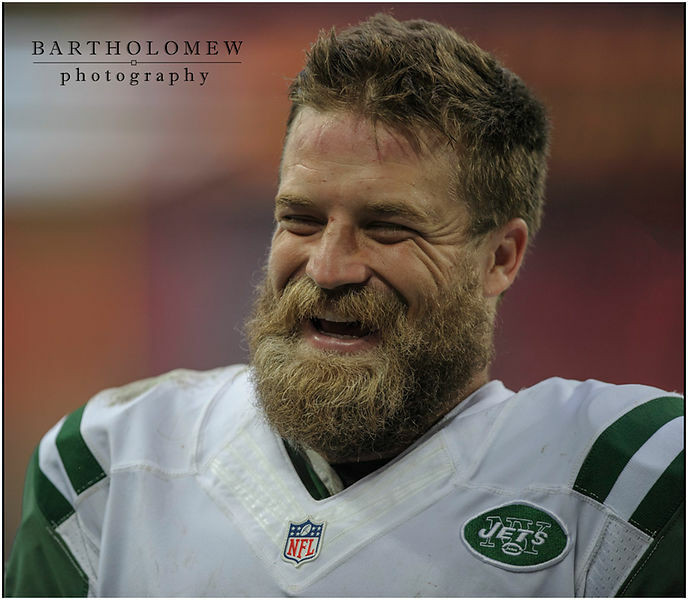 Miami Dolphins versus New York Jets. Miami Dolphins run on to the pitch. 04.10.2015. London, England. NFL International Series. Miami Dolphins versus New York Jets. Fans pose in fan zone at the Wembley Stadium before the game.